Know how long I can take an item out for? You will need to bring into the library two items with your name and address. Examples include a driver’s license, learner’s permit, car insurance card, car registration, check, bill, or mail postmarked within the last 30 days. If your items have a PO Box listed as the address you will also need to provide a utility bill (electric, water, etc) showing service at your home address. Students from Comsewogue, Miller Place, and Mount Sinai school districts may also use their student picture ID. If you are not sure if Comsewogue Public Library is your home library you may check your address at this link to determine your district. If you are homebound and would like information on how to access our CPL Connect service click here. Click the My Account link at the top right of our website. To login to your account you will need to enter your library barcode number (or username if you have set one up previously) and your password. Once you are logged in you will be able to renew items, place holds, pay fines, and more. If this is your first time logging in to your account you will first need to click on ‘Create A Password’. Enter your barcode, then enter the password you wish to use (letters and numbers only; do not use punctuation or special characters). If you do not have an email linked to your account, you must come into the library with your library card and a picture id. You can update your phone or email from the My Account screen. Click the My Account link at the top right of our website, log in, then click on ‘Change Your Contact Information’ to update. If you do not have access online or are having difficulties logging in you may also come into the library with your library card and license to update your information at the Circulation desk. If you are updating your address this must be done in person. You will need two items with your name and new address. You will need to bring into the library two items with your name and address and pay a $2.00 replacement charge. Examples include a driver’s license, learner’s permit, car insurance card, car registration, check, bill, or mail postmarked within the last 30 days. If your items have a PO Box listed as the address you will also need to provide a utility bill (electric, water, etc) showing service at your home address. Students from Comsewogue, Miller Place, and Mount Sinai school districts may also use their student picture ID. If you have added an email to your account you can request a new password and a temporary one will be emailed to you. Click the My Account link at the top right of our website, then click ‘Forgot Your Password?’. If you do not have an email linked to your account, you must come into the library with your library card and a picture id. You can pay fines with cash or a check at the circulation desk. To pay with a credit or debit card, click the My Account link at the top right of our website and log in to your account. On the left hand side of the screen there will be a dollar amount listed next to ‘unpaid fines and bills’ which you can click to proceed. Choose ‘Pay Online’, select the items you want to pay for, enter your card information, and click submit. A confirmation will be sent to your email address on file. Click the My Account link at the top right of our website and login to your account. Check the boxes to the left of the items you want to renew, then click ‘Renew Selected’. You may also choose to renew all items currently checked out by clicking ‘Renew All’. The due dates of each item should update when the screen refreshes. If the item is not renewable due to other patron holds the due date will remain the same. You may also call the Circulation department to renew items over the phone (you will need your barcode number located on the back of your library card), or come into the library with the items or just your library card. Open the library catalog or use the search box at the top right of our website to search for a title, author or keyword. When you find the item you want click the ‘Request’ button (next to the red checkmark). You will be promoted to login to your account. Choose your pickup location and click submit to complete the request. Don’t see the item you’re looking for in the library catalog? Let us know about it! Be aware that you may also request a book not held by the Library through Interlibrary Loan. Click here to email the Adult Services Department. Click here to email the Children & Teen Department. Items must be new material and we ask that you include any relevant information, such as title, author, and ISBN. Suggestions will be evaluated using the Library’s selection criteria as stated in the Collection Development Policy. Our librarians will gladly assist you in choosing just the right book. We offer a variety of book lists for both adults and children, from the youngest of readers up through the teen years. For adults we also offer Your Next Great Read, a personalized reading recommendations service. Want more suggestions? Sign up for a NextReads newsletter or explore NoveList or NoveList K-8 for even more great book suggestions. We offer several popular services where you can access both eBooks and downloadable audiobooks. Visit our eBooks & eAudio page to learn more and to access the library’s digital collection. Library members with accounts in good standing can use this service. If you do not see the item in Comsewogue’s catalog, be sure to search in all libraries. 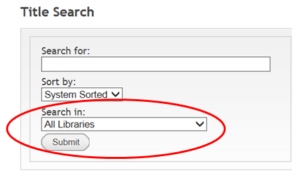 If you do not see the item in any Suffolk County public library, click Expand Search (LILINK) in top menu. If you still do not see the item, please contact a librarian. We will be able to search libraries outside of Long Island. These requests may cost you money. The average cost is approximately $20.00 per request. Loan periods, fines and renewals are the decisions of the lending library. We offer a wide variety of classes for all ages. Comsewogue cardholders may register online, in person, or by phone (631-928-1212). Click here for online registration and to access a full listing of current classes via our newsletter. Click here to review and agree to our museum pass policy. Choose an available pass for the day that you wish to pick up the pass from the library. Enter your valid Comsewogue Public Library card number and be sure to view the confirmation of your reservation. Click here for full information regarding computer access for children, teens, and adults. Access the library-wide wireless network with a phone, tablet, or laptop computer. Within the wireless configuration of your device, browse for and connect to the ‘cpl_public_wifi’ network. In order to fully connect, open your internet browser in order to agree to the Acceptable Use Policy. Please Note: If you have agreed to the policy in the past, your device may automatically connect you to the wireless network. Click here to print from your device using the library’s print from anywhere service. All library copiers have the ability to scan documents to a USB drive or email. We also have a dedicated ‘Bookscan’ scanning station. This machine can scan documents, pictures, and more to a USB drive or email. Login using your library card or obtain a guest pass at the Adult Services desk. All scanning services are free of cost. A fax machine is located in the Gallery. Sending a fax to anywhere within the continental United States is free of cost. You may not receive incoming faxes at the library. If you would like to use a meeting room for your local community organization, you must have a valid Comsewogue Public Library card and fill out a meeting room application. Click here for a copy of the application. Click here to access free homework help and study resources. A valid library card is required for access. Click here in order to begin your research with a ‘keyword’ search. Click here for a full listing of research databases that are available to you. Receive email alerts from your library including circulation reminders and holds ready for pickup. 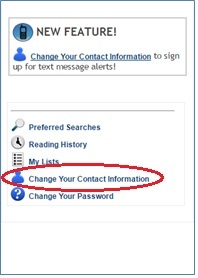 Login to your library account and enter your email address in the ‘Change Your Contact Information’ tab. Click here and select the ‘Notaries’ tab for local information. Click here and select the ‘Collections/Donations’ tab for local information. Click here for an application for part-time employment opportunities. Full-time employment positions are hired through Suffolk County Department of Civil Service.